There comes a time in every mans life when he just stops caring what people think and does what he wants. 99.9% of men never arrive at this moment. Kanye West is the other 0.1% and Yeezus is the press conference to make this announcement. Since his big break in 2004, Kanye West has covered every single musical base. He’s been a hero. He’s been a villain. One thing has remained steady. His album sales. Every single one of West’s albums has gone at least Platinum in the United States and Yeezus which comes out today will reach the feat by the years end. From the very first note, this album just feels different. “On Sight” opens the album in an interesting place. Produced by Daft Punk, the song is essentially a bunch of electronic noises with West rapping over the top. It’s nothing groundbreaking but sets a very odd tone for Yeezus. “Black Skinhead” is the albums second and best song. From it’s incredible warehouse rock production to the amazing flow in West’s voice, the song is flawless. Most importantly, the song is down and dirty. Mean and gritty and a perfect representation of what this album would become. Kanye West Appeared On SNL To Promote "Yeezus"
Continuing through the album, you come across tracks like “I Am A God.” As if you couldn’t read between the lines, West is making sure you know what’s going through his head. “New Slaves” is a racially charged anthem that harkens back to West’s 808′s And Heartbreaks era. As with any album, there are peaks and valleys. Halfway through the album you’ll find “Hold My Liquor” and “I’m In It.” These songs probably seemed like good ideas but end up breaking up the flow. 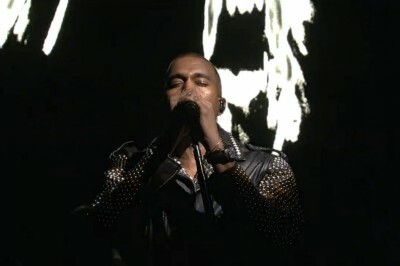 Just in case you were missing Kanye’s heavily autotuned voice, “Blood On The Leaves” is there for you. It’s actually an excellent, albeit long song. Unlike My Beautiful Dark Twisted Fantasy which featured everyone from John Legend to Rick Ross, Yeezus is mostly Kanye. “Guilt Trip” is an exception and features Kid Cudi, an artist who West has worked with extensively in the past. 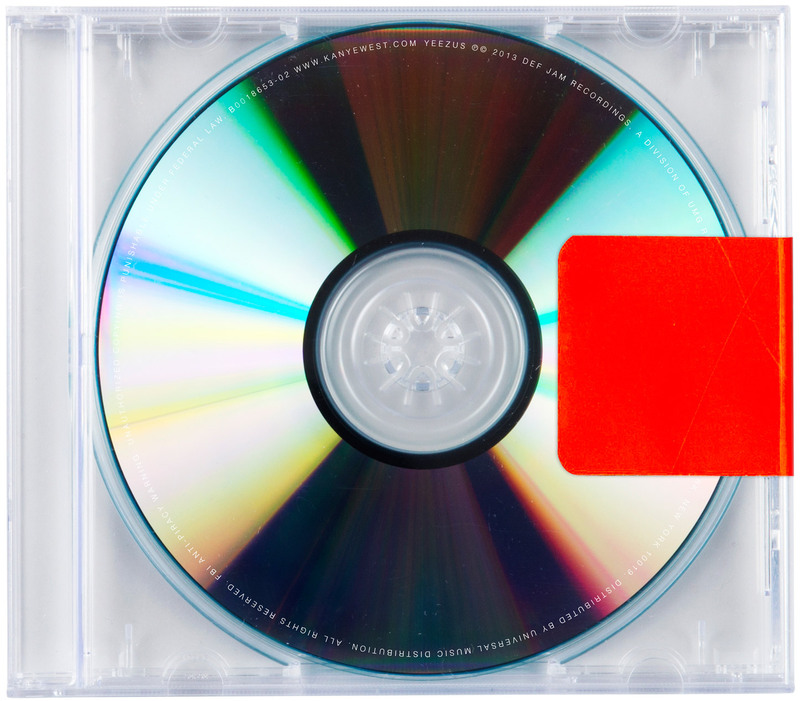 “Bound 2″ is a really great song that closes out a pretty solid album with an important message. Kanye West, similar to Eminem in the late ’90s no longer cares what you think of him and his lyrics. He’s going to write what he wants. He’s going to sing what he wants and he’s here to stay. West will soon have another platinum record to hang next to his new babies birth certificate. 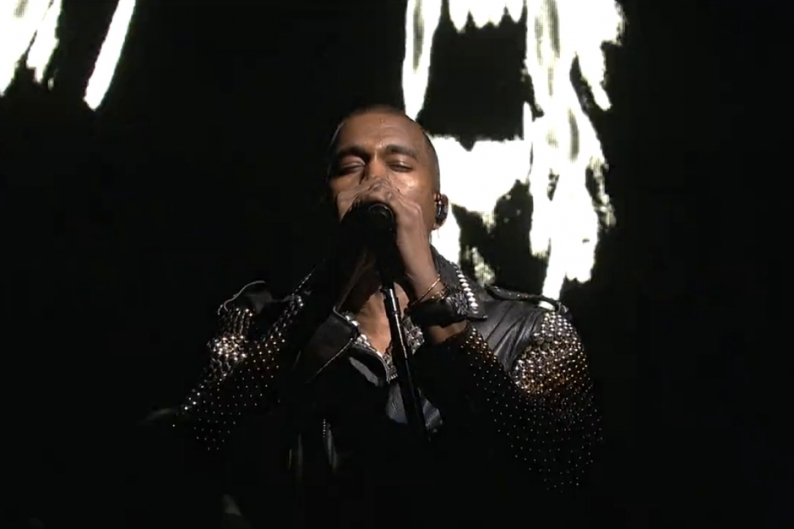 Yeezus has arrived.